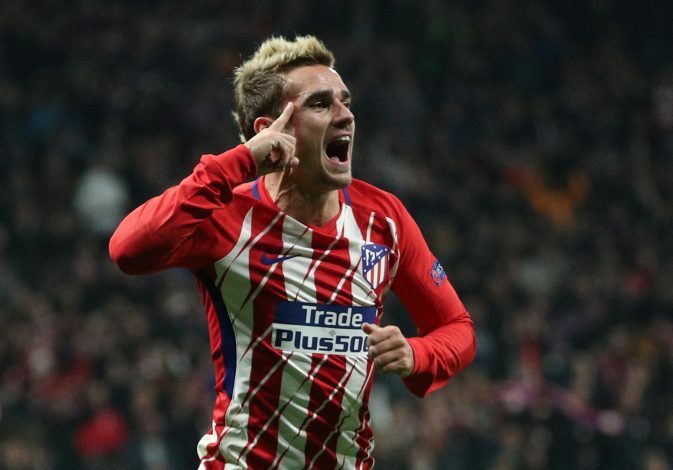 La Liga giants Atletico Madrid are reportedly ready to sell their star forward, Antoine Griezmann, to Manchester United after a major bust-up with rivals Barcelona. The Catalan giants have been in pursuit of the French striker since losing Neymar to Paris Saint-Germain, but as it appears, Barca have crossed a line in doing so. As per the report by Mirror, Atletico are ‘furious’ with Barcelona, and have lodged an official complaint with FIFA. It was claimed that La Blaugrana president, Josep Maria Bartomeu, had a meeting with Griezmann’s family in order to discuss a potential deal, which has pissed off Atleti to such an extent that they have dropped the idea of selling their star Frenchman to the Catalan giants. An Atletico statement read: “Atletico Madrid have presented a complaint about Barcelona for repeated contact between Barcelona, the player and his people. It was also reported that Los Rojiblancos are said to be against the motion to dispose off Griezmann to any Spanish side, which means Real Madrid too, won’t be able to land him. Instead, a move to Manchester United now appears to be the top alternative for the La Liga club. Griezmann almost completed his switch to Old Trafford this summer, but due to Atleti’s failed appeal against their transfer ban, the Frenchman decided to stay put for another season. And with the ban set to be lifted in January, the striker’s departure from Wanda Metropolitano seems imminent. Furthermore, Barca ace Luis Suarez welcomed the 26-year-old, along with Liverpool’s Philippe Coutinho, which could, in turn, backfire for the La Liga leaders. Suarez said: “Both Griezmann and Coutinho are elite players that are playing at the top level. They are where they are for a reason. They’re both young and have long careers ahead of them. And Barca always want the best players. Sports fanatic with a passion for writing (predominantly football) and “Wants to live life to its fullest.” Writes about the Premier League on his personal blog.